Hungarian-born American billionaire and left-wing philanthropist George Soros reportedly funding bid to block UK's departure from EU. A left-wing organization linked with American hedge fund billionaire George Soros is pouring hundreds of thousands of pounds into a new campaign to reverse the results of the 2016 Brexit referendum, which mandated the termination of Great Britain’s membership in the European Union. According to a report by The Guardian Wednesday night, Soros, who has backed progressive-left candidates and causes both in the US and abroad, has given more than $562,000 to the “Best for Britain” campaign, which aims to negate the results of the Brexit referendum and maintain Britain’s membership in the EU. Nearly 52% of Briton’s voted in favor of leaving the EU in the June 23rd, 2016 referendum. Following the vote, Prime Minister David Cameron (Conservative) resigned and was replaced by Theresa May, who vowed to implement a “hard Brexit” – removing the UK from the EU’s single market, thus giving Britain control over the so-called “four freedoms” of movement: the movement of people within the EU, the transfer of capital; trade; and services. Many opponents of Brexit accepted the results of the 2016 referendum as definitive, and sought to push for a “soft Brexit” – maintaining the UK’s inclusion in the European single market. That would likely require surrendering the “four freedoms” to the EU and obligate the UK to, among other things, allow the free passage of migration of people from within the EU to Britain. But unlike those former “remain” supporters who have reconciled themselves with the referendum, the Best for Britain campaign looks to overturn the results of the 2016 vote. Despite Prime Minister May invoking Article 50 of the Lisbon Treaty – which initiates a country’s departure from the EU – setting a March 29th 2019 deadline for Britain’s exit from the EU, the Best for Britain campaign believes Brexit can still be avoided. Cofounded by Gina Miller, an anti-Brexit activist who sued the British government in an attempt to block implementation of Brexit, Best for Britain is chaired by former minister and diplomat Lord Malloch-Brown. The movement touts itself as a “patriotic effort” by Britons to express their opposition to Brexit. Yet a significant portion of its funds reportedly came from Soros, via his Open Society Foundation. 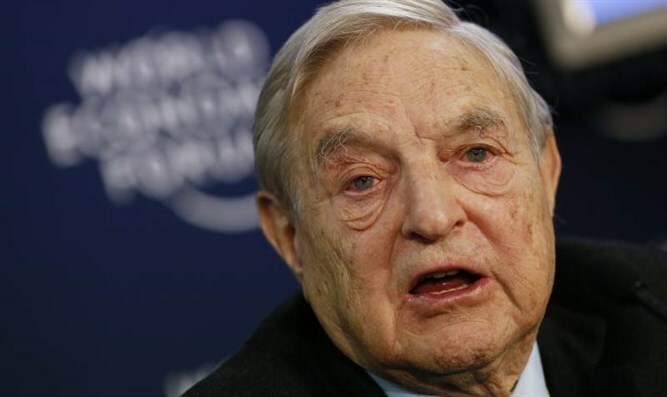 Speaking with The Guardian, Lord Malloch-Brown acknowledged that Soros had given the group more than 400,000 pounds ($562,000), while adding that 413,000 pounds had come from smaller donations.